, successively bishop of Oxford and Durham, was born in St. Bride’s parish, London, in 1556, | and educated at St. Paul’s school, whence he became student of Christ church, Oxford, in 1577. 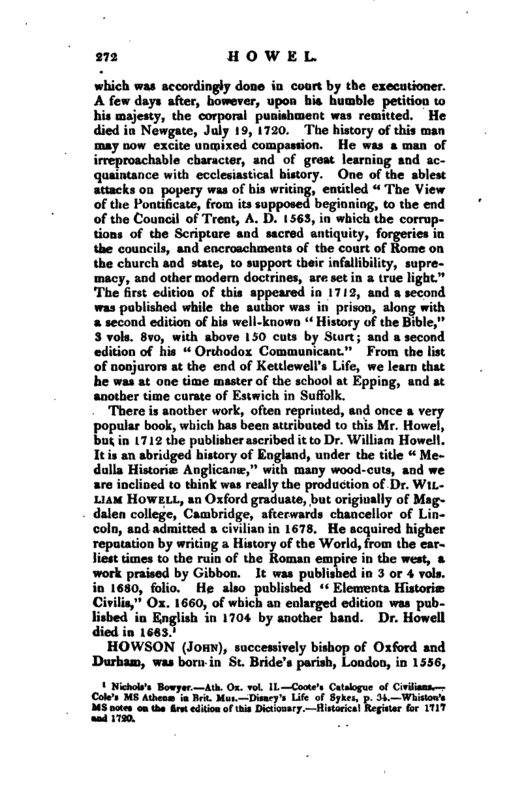 After taking his degrees in arts, and entering into holy orders, he was vicar of Bampton in Oxfordshire, rector of Brightwell in Berkshire, a fellow of Chelsea college, and canon of Hereford. 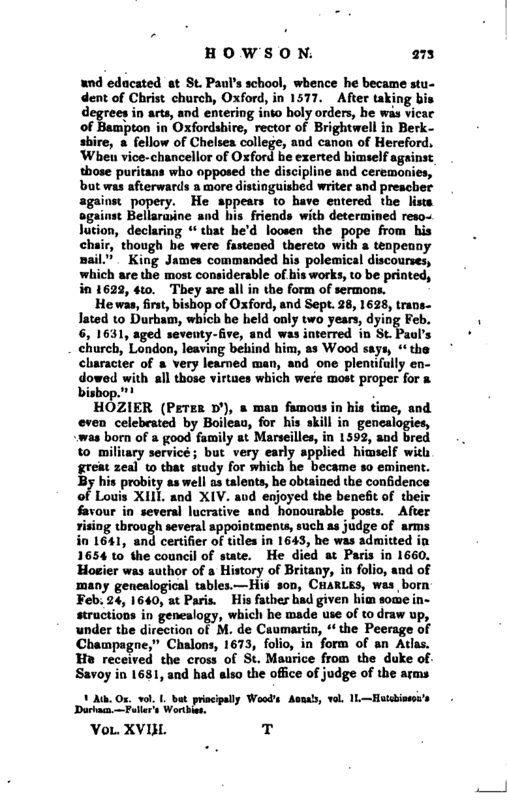 When vice-chancellor of Oxford he exerted himself against those puritans who opposed the discipline and ceremonies, but was afterwards a more distinguished writer and preacher against popery. He appears to have entered the lists against Bellarmine and his friends with determined resolution, declaring “that he’d loosen the pope from his chair, though he were fastened thereto with a tenpenny nail.” King James commanded his polemical discourses, which are the most considerable of his works, to be printed, in 1622, 4to. They are all in the form of sermons. Ath. Ox. vol. 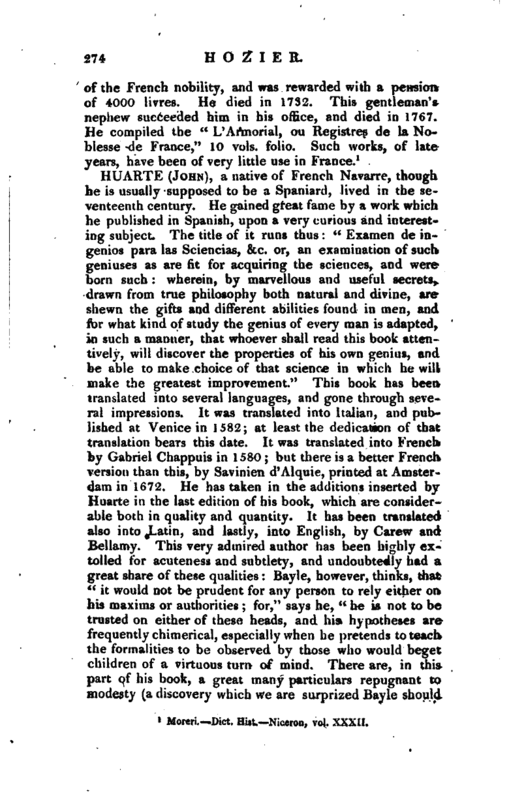 I. but principally Wood’s Annuls, vol. II, Hutchinson’s Durham. Fuller’s Worthies. Moreri. —Dict. Hist.—Niceron, vol. XXXII.